Searching for my first international conference on my research interest in globalisation, I stumbled upon Common Ground that hosts the Global Studies Research Network. 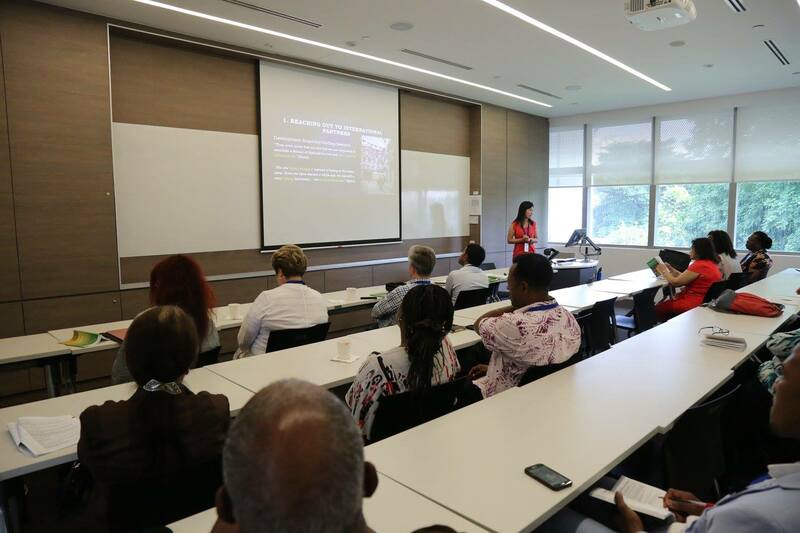 My application was accepted and I attended the 10th Global Studies Conference (8-9 June 2017) at the National University of Singapore (NUS). 2. the Global Studies Research Network for providing free participation by selecting me as its Emerging Scholar Awardee, which I wrote about here. Globalisation is an area of study to examine the complex cross-border movements such as policies, practices, people, products and pollutions. As an emerging area of study, the Global Studies can provide a key to understanding the theory of globalisation by drawing on similarities and differences from different disciplines across various countries. 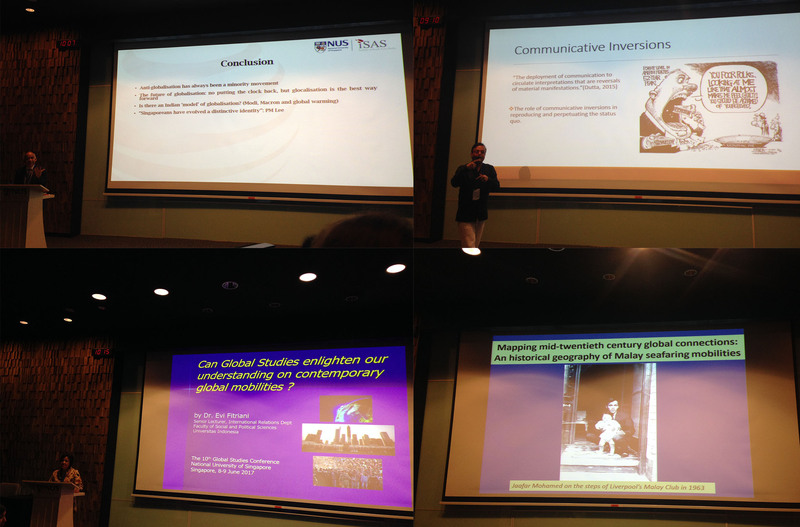 To begin with, the conference provided a good mixture of four keynote topics. Professor Subrata Mitra introduced his anti-globalisation theory while Prof. Mohan Dutta suggested disrupting neoliberalism in contemporary globalisation. With regard to the conference theme on global mobilities, Dr. Evi Fitriani spoke about policies on refugees and, Assoc. Prof. Tim Bunnell gave an insight a historical account of Malay seafarers as migrants. With academics from 32 nations, I was the only participant representing an institution from New Zealand! The variety of participants broadened my understanding of globalisation and the internationalisation policy of different research universities. At the same time, I learnt about different policies and practices in various disciplines because the conference covers economics, socio-cultural and ecosystemic dimensions of globalisation. I attended presentations on subtle but contentious issues such as the nuclear power in Turkey, the irregular migrants bribing of Malaysia officials and how a Taiwanese religion facilitates its foreign direct investment. My presentation was on the second day of the conference. It was based on the preliminary findings of my case study on the State University of Zanzibar. I must thank my colleagues and supervisors at the Higher Education Development Centre for listening to my presentations, giving me feedbacks and developing my confidence to present. In addition, I was less nervous because I got accustomed to the audience from my role as a chairperson. Finally, to me, the fun part of any conference is the dinner. It is where I make more meaningful conversations while savouring delicious food. 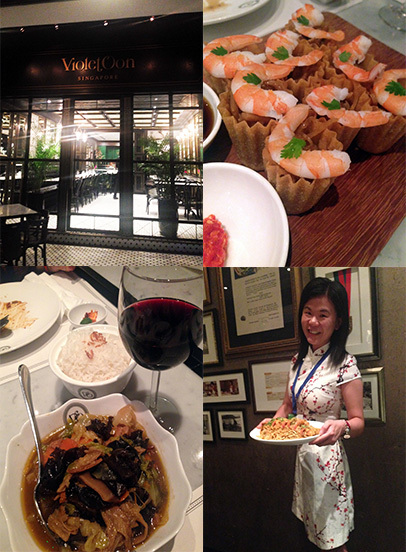 This conference dinner was held at the Violet Oon Singapore. The restaurant served authentic Nyonya food that overwhelmed my taste buds because it reminded me of my grandma’s cooking. The meal was more meaningful because I shared them with friends from India, France, Greece and Russia! We had a light-hearted dinner, having many laughs and sharing unique stories. Overall, I am glad that my participation in this conference gave me a ball of a time, intellectually and socially! Next articleStaying put or returning home?